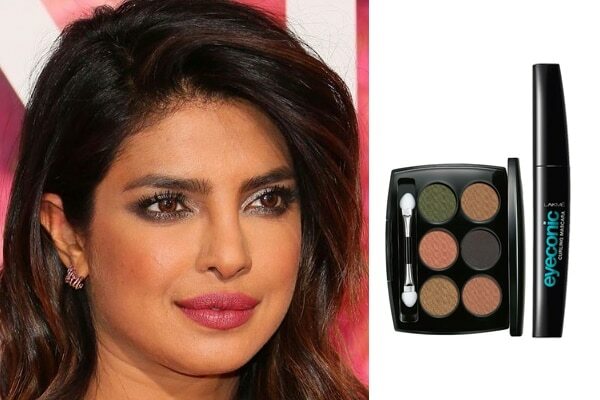 PeeCee chose to go all matte for the base makeup. To get this look, start by applying the Lakmé Absolute Mattreal Skin Natural Mousse 16hr evenly on your face for full coverage and matte finish. Finish with some Lakmé 9 to 5 Primer + Matte Powder Foundation Compact. 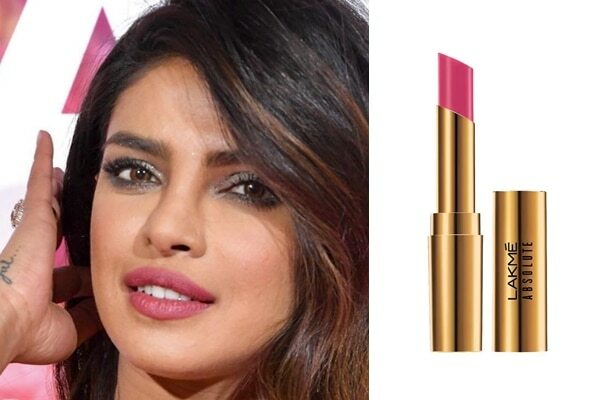 Priyanka opted for a warm rouge to go with this look. To get a similar look, flush your cheeks with the Lakmé 9 to 5 Pure Rouge Blusher - Peach Affair for similar blush. Apply the darker shade of Lakmé Absolute Highlighter - Moon-Lit on cheekbones for a bronzed sheen. 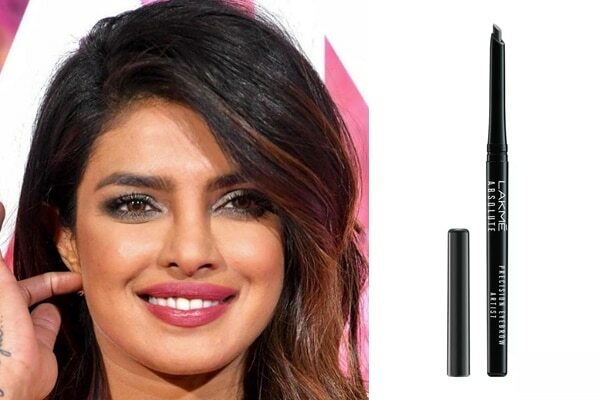 Priyanka’s brow game is always on point. Fill your brows with the Lakmé Absolute Precision Eye Artist Eyebrow Pencil for defined full brows like Desi Girl. 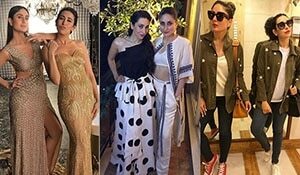 To get PC’s shimmery smokey eye look, all you need is the Lakme Absolute Illuminating Eye Shadow Palette – Gold and a brush. Pick the dark grey shade and blend onto the lid, inner corner of eyes and under the lower water line. Create an elaborate wing with the eyeshadow for the dramatic eye look. Apply Lakme Eyeconic Curling Mascara and you’re done. If you can’t take your eyes off Mrs. Jonas, you have certainly noticed her statement pink pout. Grab Lakmé Absolute Argan Oil Lip Color - Lush Rose and fill your lips to get a look similar to PCs.